This specific online exhibit is an actual course taught at Western Wyoming Community College in Rock Springs, WY.The exhibit is very specific and talks about different parts of Wyoming History including Chinese immigrants, Japanese immigrants, Native Americans, the Oregon Trail, Fort Bridger, and the Great Depression. The author of the exhibit is an instructor at WWCC named Dudley Gardner. The exhibit definitely contains examples of archaeological materials from the Chinatown in Evanston, various petroglyphs, parts of the Oregon Trail, and numerous graphs and maps to help visualize data recorded. The various parts of Wyoming’s history are thoroughly explained and the author is holds a Phd in history and has numerous years of archaeological experience. So the exhibit is easy to interpret as factual and represented with accuracy. 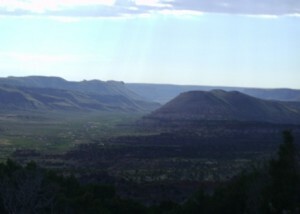 Each example from the various people who have inhabited Wyoming in the past contains various points of view and the effects of colonialism on the area. Different personal stories from the Japanese,Chinese, and Native Americans were discussed throughout the exhibit as well. The exhibit seems very truthful as well as engaging regarding the events that helped shape Wyoming. Multiple audiences can be reached in this exhibit as well. Although this is for a specific class taught at WWCC other audiences can definitely be engaged with these examples given throughout the site. Audiences include students, professionals within the field, descendant communities, and anyone interested in Wyoming history. The pictures utilized throughout the exhibit also indicate that the communities where archaeological research took place were involved on the dig sites as the pictures included students, instructors, kids, and various other community members. Overall, this exhibit is engaging, factual, and very in depth. It is definitely worth a read! Visit http://www.wwcc.wy.edu/wyo_hist/default.htm for more information! In 1996, the underwater shipwreck of the infamous pirate Blackbeard’s flagship, The Queen Anne’s Revenge, was found off the coast of North Carolina. The site is being operated as both an archaeological one as well as a tourist attraction in a part of the country that already has a thriving marine tourist activity. The website for this project is associated with the North Carolina Department of Cultural resources and, by all appearances, is a pretty legit archaeological dig. Their site emphasizes the things that can be learned from the Queen Anne’s Revenge that will “shed light on the wider political, economic and social systems of the colonial period in North Carolina and beyond.” They can’t quite shake the commercialized and tourist feeling of the whole venture, however. Clearly advertised on the main page of the website are two of their primary donors, Grady-White (a boat-building company) and the Boat House at Front Street Village (boat storage and community area with gift shop), as well as a handy link to donate toward the cause. On the other hand, the site is also quite transparent about these elements, they are quite clear these are sponsors and that a part of their mission is to have a positive economic impact on the immediate region. The website for the Queen Anne’s Revenge shipwreck is well-organized and smooth running, but it feels more like an advertisement to visit North Carolina than it is an educational site about archaeology. To revisit our discussion on labor and identity in archaeology, and in light of my choice of the industrial era as the setting for my final project, I decided to take a look at The Five Points Site. Maintained by the U.S. General Services Administration (GSA), this exhibit was originally a collaboration between several individuals and organizations. Dr. Rebecca Yamin is given credit for the exhibit’s text. The exhibit itself is comprised of text and images tied together with hyperlinks. A typical entry, if you will, features items such as maps and photographs of cataloged artifacts accompanied by descriptions of the activities that took place at Five Points. Interestingly, the site provides a significant amount of detail about the excavation process; it also features a section dedicated to some of the ways that archaeology may be used to challenge existing narratives. The style of this exhibit is much more closely aligned with McManamon’s (1994) ideas of how public archaeology should be presented. That is, the exhibit is intended to convey specific information, as well as a particular narrative, to an audience. However, this interaction does not constitute a dialogue. Largely absent from the exhibit are outside interpretations; for example, views of contemporary New York residents, or even descendants of the Five Points community are not included in the information presented by the exhibit. This may be, in part, attributed to the nature of the project itself. In a statement attached to a page featuring their contact information, the GSA acknowledges that the virtual exhibit is an extension of a physical exhibit in New York City, presumably intended to interest locals and tourists alike in the area’s history. Additionally, several organizations are credited for their support of the exhibit; whether or not these organizations have interest in engaging the public in a more open conversation as per Little’s (2007) suggestions may also play a role in the exhibit’s capacity to do so. 2007 Archaeology and Civic Engagement. In Archaeology as a Tool of Civic Engagement, edited by B. J. Little and P.A. Shackel, pp. 1-22. AltaMira Press, Lanham, MD. 1994 Presenting Archaeology to the Public. In The Presented Past: Heritage, Museums, and Education, edited by P.G Stone and B.L Molyneaux, pp. 61-81, Routledge, London. If you’d like to take a look at The Five Points Site yourself, follow this link!